Nestor Araujo has been ruled out of the World Cup while Mexico prepares for the Cup against Wales in Los Angeles, highlighting Mexico's federation's problem. One of Carlos Osorio’s bright spots as manager of Mexico has been the emergence of Nestor Araujo. Now the 26-year-old Araujo, won’t make the trip to Russia as it looks he’ll be unable to recover 100% in time from a knee injury for the team’s June 17th opener against Germany. With injury concerns to Andres Guardado and Diego Reyes, along with Jonathan and Giovani Dos Santos, these were the reasons Osorio was unable to name his final 23-man roster and instead named a 28-name roster. Oswaldo Alanis should be a lock for the team based on the fact he’s the only other natural left-footed defender behind Hector Moreno. The battle for the spot Araujo leaves looks to be between 31-year-old Mexican fringe player Hugo Ayala and 20-year-old Edson Alvarez. This could also open the chance for defensive midfielder Jesus Molina. Osorio has liked to use Reyes in both his natural defensive center back spot, as well as a defensive midfielder. Many times, this was because Araujo took up the right center back spot. With Araujo out, Reyes could be called on and needed to play more in the blackline and Mexico will need to call on Molina to play in the defensive midfield role. 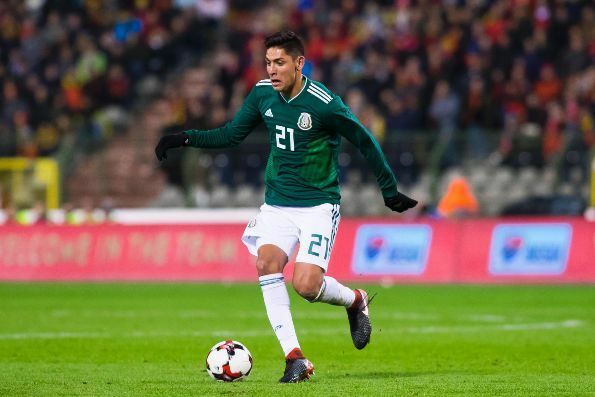 Those who remembered, Araujo picked up his knee injury in March on international duty with Mexico while playing against Croatia in Dallas in the AT&T stadium. He picked up the injury when he tried to make a tackle and his foot gets slightly caught by the sawed grass that was laid on top of the normal artifactual turf inside the stadium. Reyes also was off at halftime after picking up a muscle injury after just coming in for Araujo. Playing on sawed grass that’s only had a few days to settle leaves for a loose and dangerous surface. Of course, the whole reason the game against Croatia was played in Dallas on new grass in a football area is because Mexico can host a home friendly match in the United States and pack the area with 80,000 people (four days earlier, Mexico had 68,000 people in Santa Clara against Iceland), which all equals to what the Federation cares about the most, Money. Monday, Mexico will play their first of three friendlies before their World Cup opener, against Wales, a team who didn’t qualify and won’t be at full strength. The game? That will be played in the Rose Bowl where at least another 75,000 are expected to attend. On May 2nd, Mexico returns to Mexico for a send-off match at El Estadio Azteca again, not against a World Cup opponent, but against Scotland before the team sets off to Europe for one final friendly. This time against a World Cup team, Denmark, in Denmark (Dios de mi Vida it’s about damn time). The May 2nd match will be Mexico’s fifth of the 2018 year and their first in Mexico, with the first four all being played in the United States. The Mexican federation has brilliantly used Mexico playing in the United States to expand the teams brand and popularity, but at what cost this time around? Worrying more about making a buck in the LA market, Mexico was never going to get a World Cup quality team to come all the way to the States to play a friendly with Moscow being over 6,000 miles away. Instead of just having the send-off match in Mexico and then head to Europe (where most of Mexico’s best players already play their club soccer), El Tri will go to LA make some cash, go almost 2,000 miles south to Mexico City before finally going across the pond to Europe. 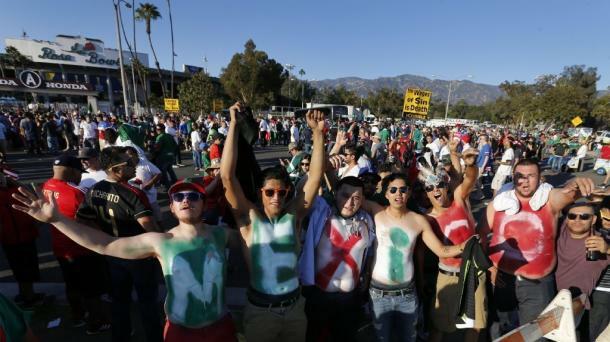 The Mexican federation's greed for money overshadowed a chance for Mexico to go to Europe in March and test themselves in hostile environments, as it hurt Mexico’s chance for higher quality opponents a month away from the World Cup starting. The greed has cost Araujo his World Cup dream, hopefully, it doesn’t cost El Tri theirs.